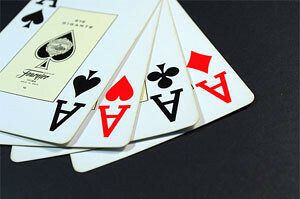 Poker is a four street game, you already learned about the basics of pre-flop play and also playing after the flop. It doesn’t end there, though. One of the most important streets or betting rounds in poker is the turn. This is the betting round, when you have to decide whether you’ll be looking to play a big pot or you’ll be trying to keep the pot small. You also have a way better feel about the range of your opponent. There are few basic, but useful things, that will help you to play more optimal on the turn. While this is an obvious thing, many people totally forget about it. Most of the time your hand strength is irrelevant. What matters the most is whether you are ahead versus the range of your opponent. If you have a top pair with a mediocre kicker versus a guy who raised from UTG and keeps betting, you are likely in a bad spot. Even more. If he’s playing very tight, you are almost guaranteed to be in a spot where his range is literally crushing you. On the other hand, if he raised from the SB and you are on the BB, it’s very likely that you have the best hand. If you have a read, that he is a maniac, you are certainly ahead of his range! Always remember, that ranges really matters. Your hand strength in any specific hand is secondary! This theorem was made way back in the days when online poker boom just started. However, it still applies to micro and small stakes games nowadays. BalugaWhale is a well known online player and invented this theorem to ease the gameplay for beginner players at a time. It naturally grew to be one of the most recognised rules/theorems in the poker world. Baluga Theorem suggests that, when facing a raise on the turn from a solid TAG player, you should fold all your hands that are weaker than two pair. There are few exceptions to this, but at the micros TAG players usually play pretty straightforward, so this theorem really can be put to a good use! Stack sizes are crucial in poker. You can only play for as much, as the player with the lowest stack has. If he has $50 and you have $100, you can only win and loose $50. Keeping stack sizes in mind will help you when making bluffs, as if a player has only a few dollars left, it’s unlikely that he could fold and same vice versa. The Baluga Theorem – Are You Correctly Applying It?